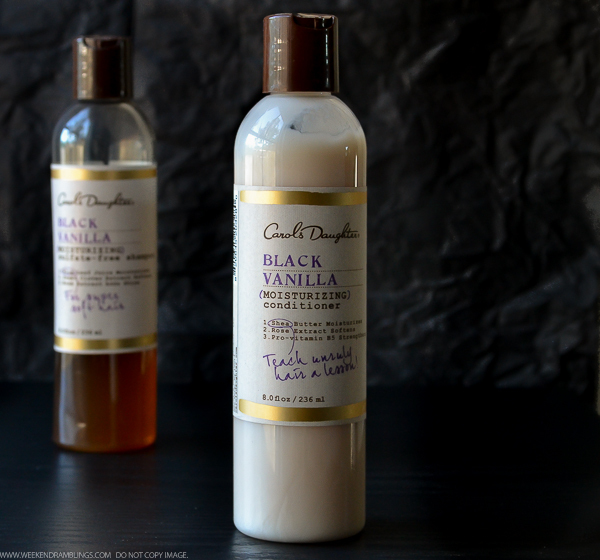 Carol's Daughter is quite a popular haircare brand among those looking for natural hair care or for hair that's going through some rehab after harsh treatments like coloring and straightening. I do color my hair quite often (pesky greys! ), and my hair goes through a bit of heat abuse with blow drying. Plus, I have naturally frizz-prone, crazy hair, so I figured Carol's Daughter just might be what my hair needs. 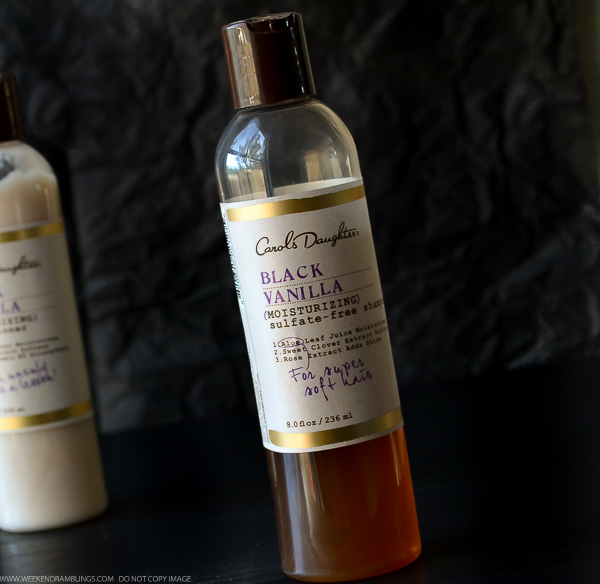 I haven't had much luck with their products, though, so far, but when I got the Black Vanilla Moisturizing Shampoo-Conditioner to try out, curiosity got the better of me and I decided to give these a try. 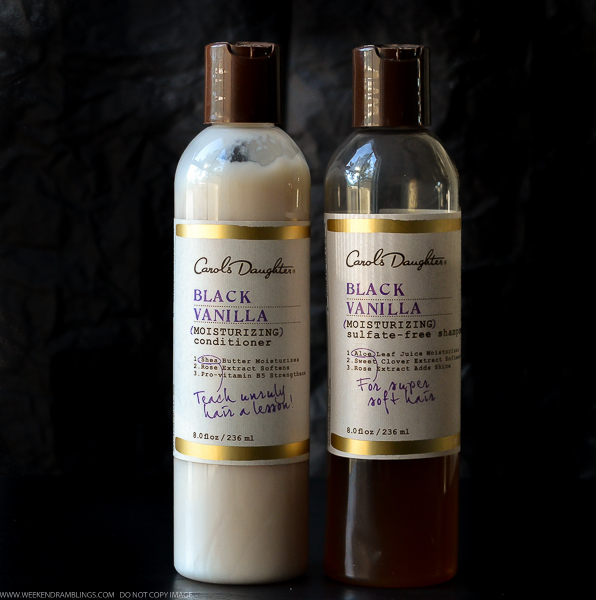 Carol's Daughter Black Vanilla range is meant for hair that needs gentle care and moisture. 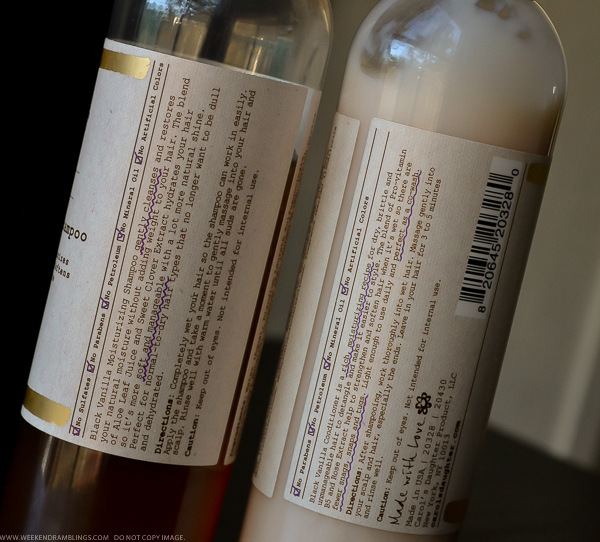 The products - at least the shampoo and conditioner - are mildly scented. It's a sweet coconutty fragrance, not vanilla, which is what I thought the smell would be, but it's seems mild and not overwhelming at all, at least to me. That said, I didn't have much luck with this shampoo. I found it too gentle for my hair, had to use a lot of shampoo to get it to lather decently (which is probably because it is a sulfate-free shampoo and that's a good thing), but I felt like this was really difficult to rinse out and didn't really leave my hair feeling clean. Going by my experience, I would guess this is better for people with lighter/finer hair. The conditioner on the other hand is quite good. 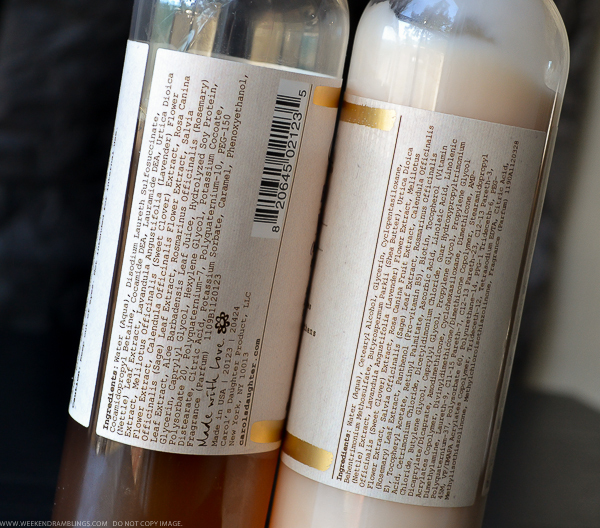 It leaves my hair soft and manageable and almost frizz-free. I would probably use this on it's own, minus the shampoo.